ABERDEEN, S.D. 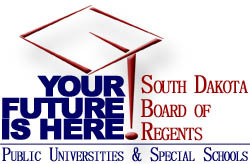 – The South Dakota Board of Regents this week approved new academic program requests to meet emerging workforce trends across the state. The Post-Graduate Psychiatric Mental Health Nurse Practitioner certificate, requested by the state’s clinical providers and the South Dakota Board of Nursing. It will allow advanced practice registered nurses to add an additional area of specialty in mental health. The new certificate, requiring 18 credit hours of study, is targeted to practicing nurse practitioners who already hold a master’s or doctoral degree. The certificate comes in response to critical shortages in mental health treatment across South Dakota. New delivery options for programs in geographic information sciences. The university’s existing GIS minor will now be available online, while its GIS certificate will be offered at University Center-Sioux Falls and through online delivery. These changes in delivery are in response to growing market demands from the geospatial technology industry for graduates who can utilize geographic applications and technologies in a changing world. A new graduate certificate in alternative teacher certification. 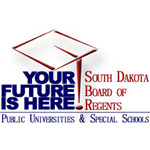 Aimed at alleviating South Dakota’s teacher shortage, this is an additional pathway through online delivery to secure certification outside of a traditional teacher education program. Target audience is those with a bachelor’s degree in a non-education field and preliminary certification, who wish to transition into K-12 teaching and have an employment offer from a state-accredited school. The 15 credit-hour certificate covers topics including classroom management, teaching methods, student assessment, differentiated instruction, adolescent psychology, and South Dakota Indian studies. A new specialization in accounting analytics within the master of public accountancy degree at USD. This seeks to meet a growing market demand for graduates who can utilize data to strengthen accounting decision-making processes. The specialization requires completion of three courses totaling nine credit hours of study. Accounting and analytics are occupations with higher-than-average employment growth forecasted within South Dakota and nationally. Two new undergraduate certificates—in health and culture and in tourism & hospitality marketing. An add-on certificate in health and culture is designed to add value to a student’s major in anthropology, sociology, health sciences, and public health. Graduates will better understand healthcare concepts in different cultures, with the overall goal to improve healthcare service quality. The certificate in tourism & hospitality marketing will provide a valuable credential for people working in tourism-related fields, including those without a college degree. The credential will also be of interest to students majoring in business and media/journalism. A new graduate certificate in healthcare data analytics, aimed at introducing graduate-level learners to data analysis tools and methods for performing healthcare data analytics functions. The U.S. Department of Labor predicts significant employment growth through 2026 for healthcare management analysts. This 12 credit-hour certificate will be available through online delivery. An undergraduate certificate in international studies, which will encourage students to experience learning through travel aboard opportunities. Three of the 12 credit hours needed to complete the certificate will come through a study abroad experience, adding value to a student’s major and minor studies. BHSU officials said there is increasing demand in today’s economy for students who have completed international study experiences.